ICDLE 2010 will be held during Oct 3-5, 2010 in San Juan, Puerto Rico, USA. 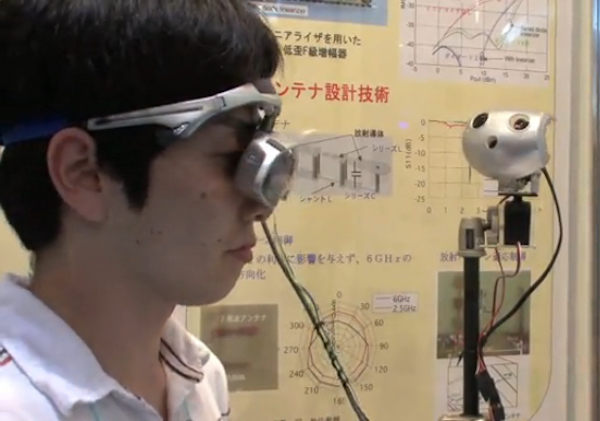 At Wireless Japan 2010, the Nakajima Laboratory at the University of Electro-Communications exhibited a mobile videophone that enables truly effective communication, using a head-mounted display and various sensors. This is an exciting opportunity to join the Cultural, Communications and Computing Research Institute (C3RI), which is seeking to appoint a Research Associate to join the progressive Knowledge Transfer team. Our industry partners choose Sheffield Hallam because of our flexible, business led approach and our high quality research, facilities and students. Our partners include Sony, BP, NHS, Network Rail, Cisco, SAP and Microsoft. LOS ANGELES — Between the crunch, the buttery feel in your mouth and the rich taste, cookies seem pretty perfect already. But they’re not quite perfect enough for Takuji Narumi of Tokyo University. 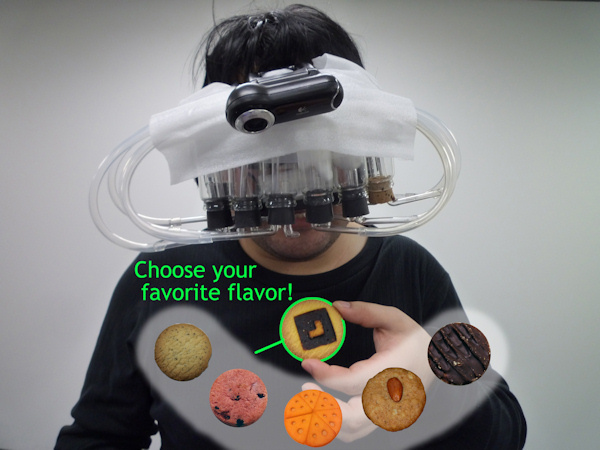 Here at the SIGGRAPH computer animation and interactive technology conference, Takuji and his team unveiled their Meta Cookie system, which uses virtual reality to try to control the flavor of a cookie. I saw this the other day, and I’m not certain why I didn’t report on it then. Normally, I’m all over the cool robot gadgets. The Moving Image Review and Art Journal (MIRAJ) is the first peer-reviewed publication devoted to artists’ film and video, and its contexts. It is published twice a year in print by Intellect Books in collaboration with the University of the Arts London. MIRAJ offers a widely distributed international forum for debates surrounding all forms of artists’ moving image and media artworks. 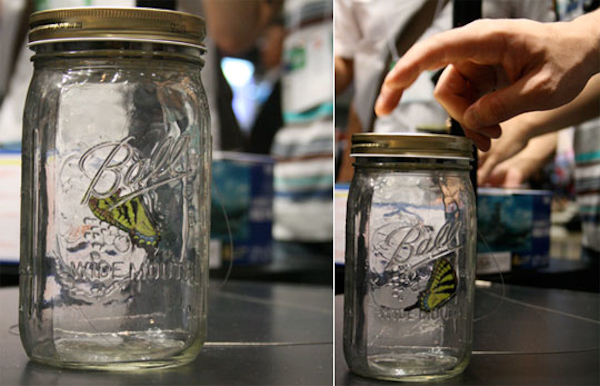 suggest new methods of theorizing and writing the moving image. In the blockbuster movie Avatar, lead character Jake Sully, a paralyzed military veteran, wakes up in a virtual body to find that he can stand and run and dig his toes into the earth, which he does with animated abandon. “This is great,” Sully says as he disconnects himself from medical equipment and stumbles out of a laboratory. It is great – and not just for Jake. In the Information society, the advancement of Information and Communication Technologies (ICTs) has created a digital society and broadened the scope sharing innovations globally. In this globally digital society, people use electronic devices in almost anything they do in their lives: from brushing teeth to driving a car. In the fast moving digital society, people are encountering newer features associated with emerging technologies including (but not limited to): computers, appliances, machines, mobile communication devices, software applications, and websites. Advances in emerging technologies coupled with fast moving lifestyles, people are increasingly overwhelmed with various electronic devices and services. What do users of these various digital devices and services really need? They need useable and easy to adapt interfaces to operate in these virtual environments. 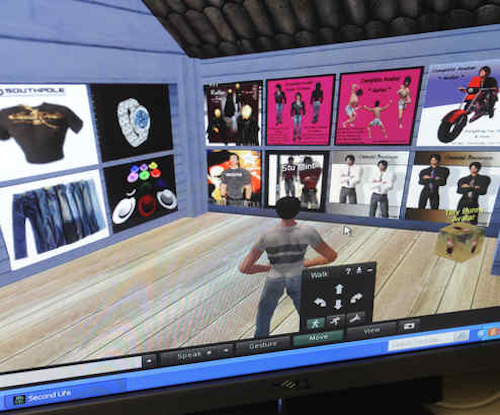 Linkage between a digital society and globalization has tremendous implications on the design of user-interfaces for various virtual environments. Reflecting on the global and cross cultural nature of today’s world, the user interface design of various virtual environments should be based on the needs of a cross culturally diverse population of users around the globe. The interface design should be user centric. User interface design should strive for making the user’s interaction as simple, meaningful, and efficient as possible. This book focuses on challenges that designers face in designing interfaces for users of various virtual environments. Douglas E. Hersh’s close crop of auburn hair and neatly trimmed goatee are clearly visible in an expandable window on my desktop. So are his light tweed blazer and matching tie. On a table behind his desk sits a purple orchid, lending color to his office — 2,600 miles away from mine. The technology that allows me to see Hersh’s face as he speaks to me is not new. But Hersh, dean of educational programs and technology at Santa Barbara City College, believes it may hold the key to solving an old problem that has plagued distance education since its beginnings: the retention gap. A growing body of research has all but obliterated the notion that distance education is inherently less effective than classroom education. But even the most ardent distance-ed evangelists cannot deny persistent evidence suggesting that students are more likely to drop out of online programs than traditional ones. The phenomenon has many explanations, not least the fact that what often makes students choose the flexibility of online learning — being too busy to enroll in a classroom course — can also make it harder for them to keep up with their studies. But Hersh believes there is another major factor driving the gap between retention rates in face-to-face programs and those in the rapidly growing world of distance education: the lack of a human touch. And unlike the reality of adult students’ busy lives, Hersh says the human-touch problem can be solved. In fact, he thinks he knows how. Hersh’s solution is to incorporate more video and audio components into the course-delivery mechanism. Most professors who teach online already incorporate short video and audio clips into their courses, according to a 2009 survey by the Campus Computing Project. But it is rarer, Hersh says, for professors to use video of themselves to teach or interact with their online students — largely because the purveyors of major learning management systems do not orient their platforms to feature that method of delivery.